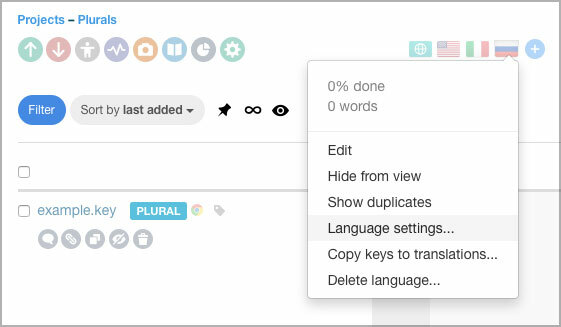 Lokalise automatically handles plural forms for all languages. Learn how to use plurals. Lokalise supports keys with plural forms. Note, the file format you are working with must support plurals as well in order for them to get exported properly. In case file format does not support plural forms, they will be encoded as JSON array in translation field. While in Lokalise editor, click any key name to open the key editor (make sure you have key editing enabled in project settings). Navigate to Advanced tab and enable Plural switch. 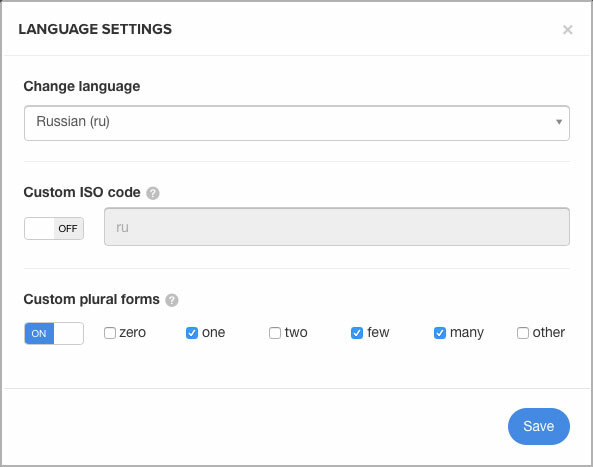 Lokalise automatically handles the plural forms according to Unicode rules, which means that some languages will have up to 6 forms and some only several, e.g. English requires just ONE and OTHER forms. In rare cases you may need to adjust plural forms. This is done per language. While in the editor or in project dashboard, click language icon and select Language settings. 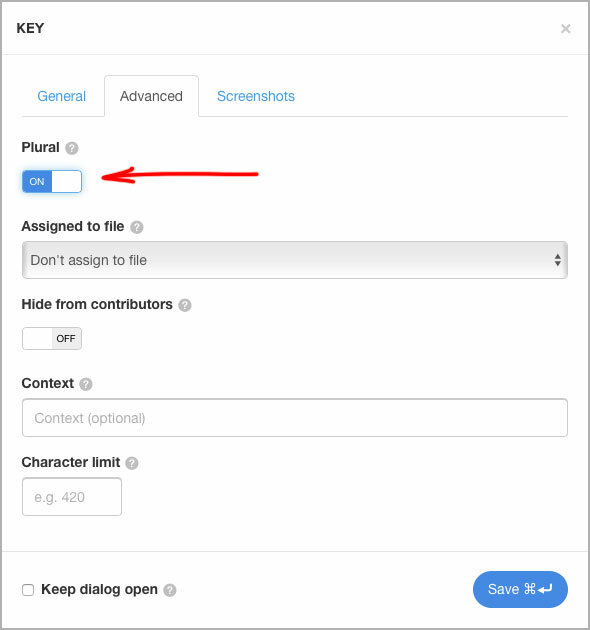 Enable Custom plural forms, select the required ones and Save. If you are disabling particular form in the language, it would remove existing translations of this plural form in all the keys.